You see it all the time on TV: Hair care commercials featuring women with long, lustrous, shiny hair they claim can only come from the bottle of product they’re selling. If you want to have hair like hers, you just have to run to the store and buy what she’s using, right? Wrong. Ladies, if you’re losing hair, those expensive products may be just one of the reasons your hair going down the drain! Beautiful hair doesn’t come from a bottle. It comes from the inside. More than just a “food allergy”, gluten intolerance is the inability of the digestive system to process the protein found in wheat, barley, and rye. When eaten, gluten causes an autoimmune response in the gut. Your immune system begins attacking your intestines, causing chronic inflammation, diarrhea, abdominal cramping, brain fog, muscle aches, chronic sinusitis, irritability, and in some cases, psychosis. Hair loss is a common symptom of gluten intolerance because of the extreme stress it puts on the body. If the above symptoms sound familiar to you and your hair falls excessively, gluten intolerance could be the cause. To test for this, eliminate any and all sources of gluten from your diet for a period of one month. After the 30-day period is over, reintroduce a bunch of gluten products and wait for a reaction. If your symptoms return, you have found your cause. Once you maintain a gluten free diet for six months to a year, your hair should grow back healthy and new! Balding women often believe that the problem they’re experiencing lies strictly within the hair follicle. Not so. Very rarely does one outward physical symptom (hair loss, dermatitis) mean there’s only one thing wrong with you. Outward symptoms are a warning sign that something else is going wrong in the body. This is why women experiencing extreme hair shedding should talk with their doctor or naturopath about possible physical causes. Thyroid Disease – Both hyper and hypothyroidism can lead to sudden and rapid hair loss. If the body makes too much of the thyroid hormone, hyperthyroidism results. Symptoms can include shaking, jitteriness, anxiety, rapid weight-loss, wide-eyed staring gaze, and hair loss. In hypothyroidism, the body does not produce enough of the thyroid hormone leading to weight gain, fatigue, cold skin, brittle nails, memory problems, infertility, and constipation. Talk with your doctor if you recognize these symptoms. Millions of women have thyroid conditions that cause the bulk of their mystery symptoms, including hair loss. 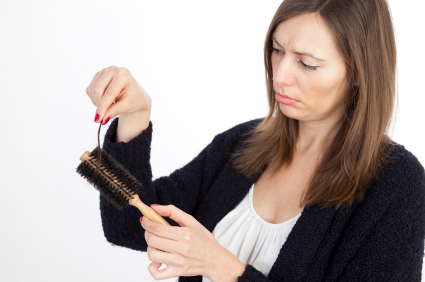 Diabetes – Diabetes is another common reason for women’s hair loss. Diabetes is a metabolic disorder whereby the body cannot properly regulate blood sugar. Symptoms of diabetes include excessive thirst, frequent vaginal infections, dry mouth, slow wound healing, frequent urination, fatigue, nausea, vomiting, and hair loss. Women experiencing these symptoms should ask their doctor for a blood test to determine whether or not diabetes is the cause of their falling hair. Eating Disorders – Anorexia and bulimia can cause hair loss in women because both eating disorders result in malnutrition. When your body doesn’t get the vitamins and minerals it needs, hair falls out. If you believe you have an eating disorder and your hair is falling out, you’re already doing a great deal of damage to your body. Learning how to eat healthy and use food properly is your first step to recovery. If you feel you have an eating disorder, contact a caring professional who can help. Anemia – Your red blood cells are designed to oxygen to your entire body. When red blood cells are low, you may experience heart palpitations, extreme fatigue, paleness, shortness of breath, low blood pressure, and hair loss. Anemia is something that can be treated with supplements and dietary changes. Talk with your doctor to get a blood test and find out if anemia is causing your falling hair. While you’re looking in the drain trying to figure out why your hair is coming out in clumps, it may never have occurred to you to blame the shampoo and conditioner in your tub. Fact is, most commercial hair care products are loaded with dangerous synthetic chemicals that can cause anything from an allergic reaction to cancer and everything in between. If other than your hair loss, you feel in great health, look to your hair care products as the possible cause of your falling hair. Balding women would do well to trade in their commercial products for safer, natural alternatives. Stress kills; it just makes your hair fall out first. Balding women in otherwise good health may be losing their hair due to extreme stress. Stress can cause a type of hair loss called telogen effluvium. There are three stages of hair growth: Anagen, catagen, and telogen. During the first two stages, hair is growing. The last stage, telogen, is called the “resting stage”. During periods of stress, more of your hair follicles get thrown into the resting stage, causing hair to fall out in clumps when washed or brushed. Thankfully, with telogen effluvium, hair will regrow once the stressful event or illness has passed. Another type of stress-related hair loss is trichotillomania. This obsessive behavioral disorder causes the sufferer to pull, twist, and yank hair out as a way to relieve frustration, anger, and anxiety. If you feel this is the cause of your sudden hair loss, make an appointment with a private therapist or join a support group for women like you. Everybody experiences stress and this has just become your way of coping. Therapy can help you find newer, healthier ways to manage frustration and anger in your life. In our modern world of fast food and convenience meals, it’s no wonder there’s an obesity and autoimmune disease epidemic. One of the most common causes of hair loss is also the most overlooked. This cause is malnutrition. Even if you’re eating every day and weigh more than you think you should, you could still be starving yourself to death. This is because processed food has little to no nutritional value. 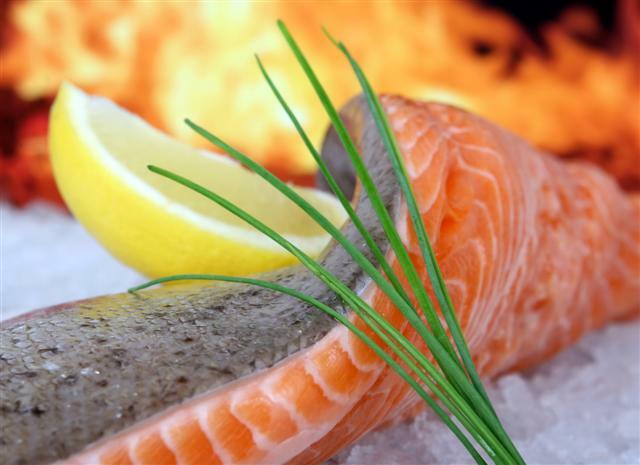 To maintain all-over health, you must feed your body the nutrients it needs. This means whole foods such as organic vegetables, fruit, whole grains, meat, poultry, fish, nuts, seeds, and healthy fats such as butter, extra virgin olive oil, and coconut oil. Also, make sure you’re drinking plenty of pure water. Dehydration can cause hair loss as well. No matter what the cause of your shedding hair, you can get it under control. Once you get your inner health in order, your hair and skin will glow naturally with no need for expensive treatments. Whenever you’re looking for effective anti-aging or beauty tips, start inward and work your way out to a beautiful new you!